I've been working on this idea for some time now and it feels great to finally be done. 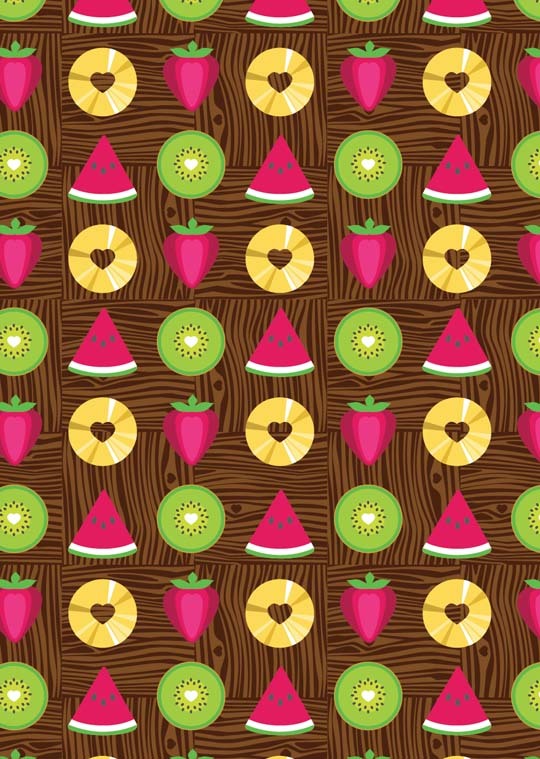 Inspired by summer fruit and our old trusty wooden fruit bowl I played with shapes and colours until I finally got the pattern I was looking for. Spud's contribution? All the hidden hearts. 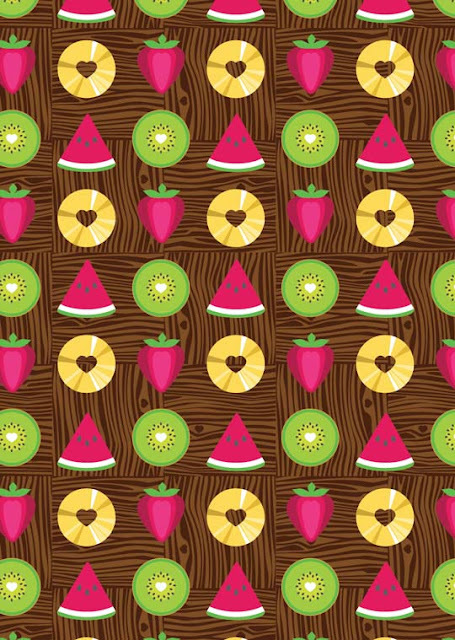 I can't wait to get a sample of this printed at Spoonflower!